Dr. James Seeds is a board certified orthopedic surgeon who is fellowship trained in sports medicine and arthroscopy. Prompt and courteous. Answered all my questions. Friendly person and shows concern for his patients. He does not push for surgery unless all other options have been explored. Very professional. Takes the time to listen to physical complaints and responds with a way to help. Very professional, knowledgeable, and a joy to work with. Very efficient, quick but thorough. Impressed with staff as well. Very efficient, and sure. Glad Dr. Seeds set a plan to get results w/out surgical intrusion. Listened to my concerns and explained issue and ideal treatment. 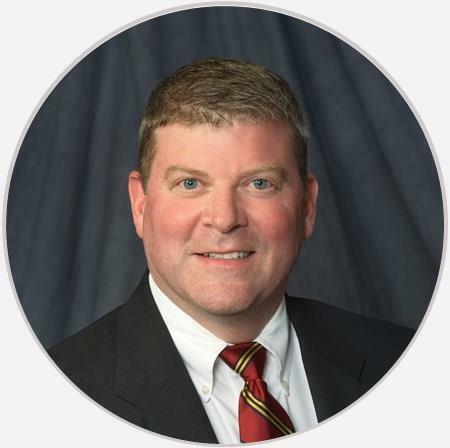 Dr. James Seeds is a board certified orthopedic surgeon who is fellowship trained in sports medicine and arthroscopy. He received his medical degree from the academically acclaimed University of Chicago Pritzker School of Medicine and completed a 5-year Orthopedic Surgery Residency at Hamot Medical Center (Erie, PA). He was then accepted into one of the most sought-after Sports Medicine Fellowships in the country at the American Sports Medicine Institute (ASMI) in Birmingham, AL. For one year, he trained in the company of internationally renowned surgeons Dr. Lawrence Lemak and Dr. James Andrews, both known for their treatment of high-profile professional athletes from around the world. In 2005, Dr. Seeds was inducted into ASMI’s prestigious Fellowship Society. In 2010, he earned a certification in Sports Medicine from the American Board of Orthopedic Surgeons (ABOS). This certification puts Dr. Seeds into an elite class of surgeons; currently, less than 5% of orthopedic surgeons in the United States are certified in Sports Medicine. Dr. Seeds is an accomplished and compassionate surgeon who has been trained to handle every aspect of orthopedic surgery. With solid experience in both minimally invasive and traditional techniques, he is able to choose the most appropriate approach for the patient’s individual circumstances. In addition to practicing general orthopedics, Dr. Seeds focuses on sports-related conditions and injuries in athletes of all ages. His fellowship training enables him to treat orthopedic conditions of the shoulder, knee, ankle, elbow, and wrist using an arthroscope. These minimally-invasive procedures allow him to repair and reconstruct cartilage and ligaments as well as perform meniscus transplantations through tiny incisions. For patients, this means minimal time under anesthesia, no hospital stay, reduced pain and fast recovery. During his career, Dr. Seeds has served as a Team Physician for sports organizations at all levels – from professional to recreational. This includes covering a multitude of high school football teams spanning four states – Massachusetts, Pennsylvania, Alabama, and Illinois. In addition, he has worked for numerous college and professional teams including: NFL Europe Auburn University Football Boston College Football Boston College Hockey Miles College Football Erie Otter’s Hockey Chicago Hounds Hockey Chicago Bandits Softball Schaumburg Flyers Baseball Chicago Slaughter Football Chicago Hitmen Hockey Chicago Express Hockey Chicago Bandits Lacrosse A lifelong athlete, Dr. Seeds understands the active lifestyle and a patient’s desire to get back to participating in sports. Therefore, his first approach is always the most appropriate conservative (non-operative) option. He believes the best results are obtained when the surgeon and patient work together to formulate a recovery plan. He takes the time to explain every option in detail and provides patients with comprehensive literature to ensure they understand and feel comfortable with their treatment plan. Most importantly, Dr. Seeds believes the learning process never ends for a surgeon. Therefore, he continues to attend orthopedic conferences and stays involved in academic orthopedics to offer patients the best treatment options available. Board Certified by the American Board of Orthopedic Surgery Board Certified in Orthopedic Sports Medicine by the ABOS Fellowships American Sports Medicine Institute (Birmingham, AL): Sports Medicine and Arthroscopic Surgery Fellowship St. Elizabeth’s Medical Center (Boston, MA): Clinical Orthopedic Fellowship Internship/Residency Rush Presbyterian St. Luke’s Medical Center/Cook County Hospital: General Surgery Internship UPMC Hamot Medical Center (Erie, PA): Orthopedic Surgery Internship/Residency Medical School University of Chicago Pritzker School of Medicine (Chicago, IL): MD Undergraduate Education Miami University (Oxford, OH): B.A.